Isaac Hale Beach Park is an oceanfront park, boat launch and surf location along Pohoiki Bay in the Puna district of the Big Island of Hawaii. 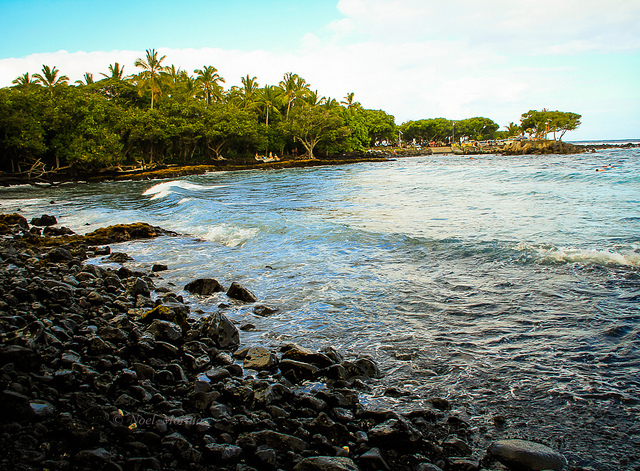 The two-acre park is often times crowded because it is the only loading boat ramp on the entire Puna coastline as well as a popular surfing destination. Picnickers, shoreline fishermen, surfers, campers and boaters are usual visitors. The park is named in honor of Private Isaac K. Hale, who served in the United States Army's 19th Infantry Regiment, 24th Infantry Division and was killed in action during the Korean War. Pohoiki Bay is not ideal for swimming due to strong currents and waves. However, you may see a lot of local children swimming near the dock despite a huge "no swimming" sign. The surfing is excellent but should be relegated to the absolutely skilled. The waves are best in the center of the bay, but rip currents are common in the area. Novice surfers should look for a safer beach to practice. 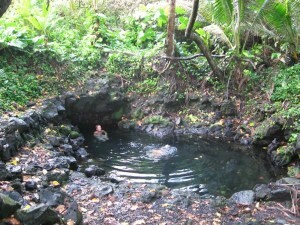 Another nearby attraction is the Pohoiki Hot Springs, sometimes called "Warm Pond," a natural hot tub surrounded by lush vegetation. 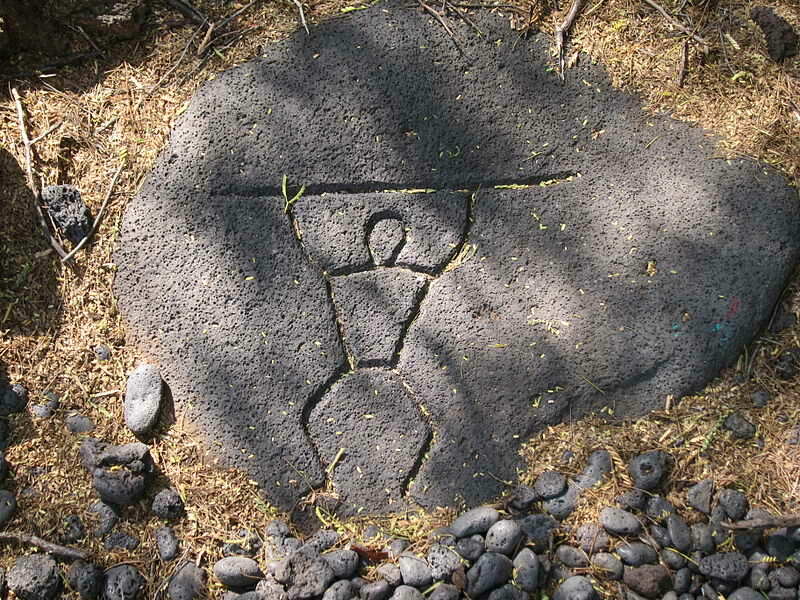 The spring is heated to about 98° by volcanic activity. The tub is about four feet deep and can accommodate up to six people for a relaxing dip. The views from the tub are also amazing. To reach the natural hot tub, walk for about two minutes along the shoreline trail that begins to the right of the boat ramp. Beach park facilities include restrooms, a picnic pavilion, picnic tables, grassy lawn and shady areas. There are lifeguards on duty and they swear they get a lot of action from people who need assistance after getting into the waters. Visitors are advised to monitor ocean conditions before venturing into the ocean and to heed all postings and warnings. 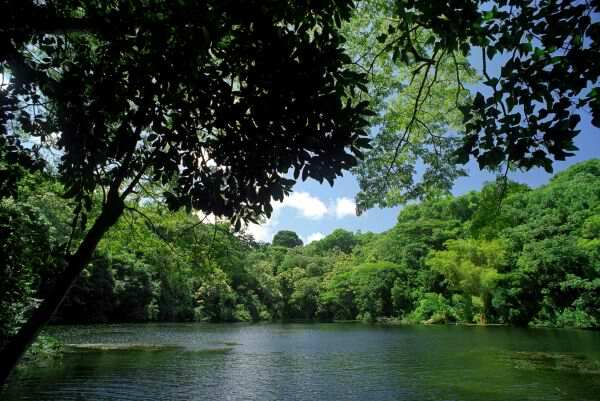 The park is loacated east of Kalapana at the intersection of Kalapana-Kapoho Road (The Red Road, #137)) and Pohoiki Road.